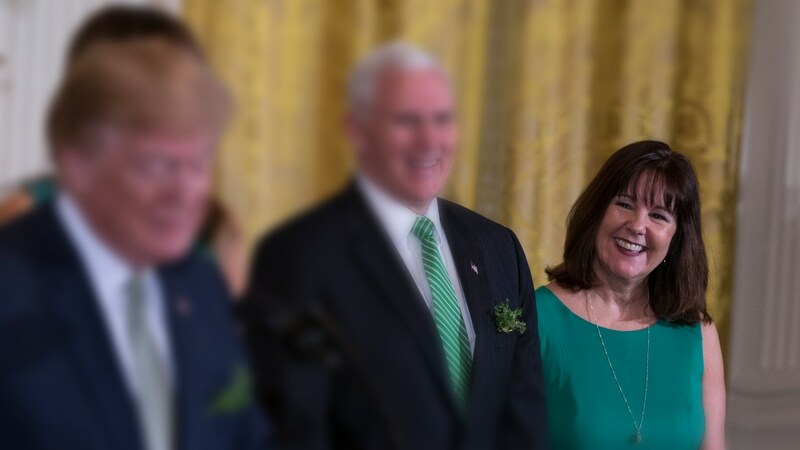 Question of the day: Why is Karen Pence, the nation’s ‘Second Lady’ teaching at a school that’s clearly anti-LGBTQ+? The wife of our sitting United States Vice President clearly doesn't have love for all Americans. Too often, progressives are told to see “both sides” of an issue in an attempt to have a broader perspective. But why isn’t the same said for for conservatives? Right now, Karen Pence, the wife of our sitting United States Vice President, is pretty much okay with teaching art at Immanuel Christian School in Northern Virginia; a private school that blatantly discriminates against those of us in the LGBTQ+ community. “It’s absurd that her decision to teach art to children at a Christian school, and the school’s religious beliefs, are under attack,” said Kara Brooks, spokeswoman for the second lady, told the press. And while Brooks words may ring true for anyone else who would choose to work for a private school that supports homophobic policies, it seems more woefully unbecoming for a second lady to cosign them. In other words, Karen Pence is making her views on the LGBTQ+ community loud and clear by choosing to accept employment from an employer with such discriminatory policies. Just think if former second lady, Dr. Jill Biden, who is also an educator and spent much of her tenure supporting cancer fighting causes, had done the same thing. I’m sure a litany of castigation would have been pushed her way. Well, Karen Pence should prepare for the onslaught. It’s not really just about “teaching art,” because Pence could have done that anywhere. It’s about her refusal to acknowledge that this country is a democracy where all Americans are created equal and the recognition of that is essentially what should make the country “great” again. Although she previously worked at Immanuel Christian School for 12 years while her husband was a Congressman (their daughter also attended), doing so now as the second lady carries a different level of power and responsibility. Right now, Virginia does not have laws in place that protect LGBTQ+ citizens from workplace discrimination on the state level. There is no current federal law that overall outlaws LGBTQ+ discrimination in employment, housing, and public accommodations; it’s basically done on a state-by-state, city-by-city, basis. This may be confusing for some given that while marriage equality was enacted by the Supreme Court in 2015, but that didn’t protect LGBTQ+ Americans on the national level from other basic human rights. In other words, in some states, such as Virginia, a gay man can be married on a Saturday and then be fired once returning to work on Monday morning. At a time where it’s already hard enough surviving in this country as a Black man, growing up in places like the deep South (Texas and Arkansas) and now living in Pennsylvania, it hurts to know that I face even more legal discrimination for also being LGBTQ. The fact that one of the most prominent women representing the White House is working somewhere that would fire me simply because of who I choose to love, speaks volumes and shows the hypocrisy that the Trump administration continues to showcase as being one for all people. It’s bad enough that I already don’t trust conservatives in office enough, but now this public disregard cuts deep. Pence’s visible endorsement of this institution and others like where discrimination is so prominently displayed can definitely further a ripple effect in undercutting any possible progress made, especially within those companies trying to reconsider their harsh policies. This just goes to show you how low the nation has truly fallen. Ernest Owens is the Writer at Large for Philadelphia magazine and CEO of Ernest Media Empire, LLC. The award-winning journalist has written for USA Today, NBC News, BET, MTV News and several other major publications. Follow him on Facebook, Twitter, or Instagram and ernestowens.com.